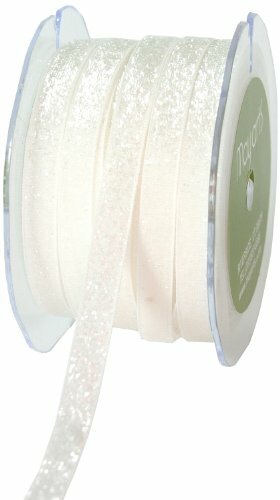 This narrow 3/8-inch by 30-yard roll of white metallic velvet ribbon is wonderful for adding texture and sparkle to all your holiday crafts and decorating. Use it to wrap small gifts or add sparkle to larger bows or costumes. Ideal for hanging holiday ornaments, embellishing handmade greeting cards and scrapbook pages or any crafts project. Available in a variety of elegant colors.